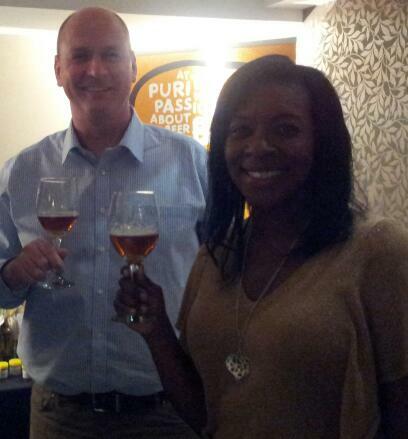 Although I know Beer Beauty Marverine Cole quite well and had also spent a fair amount of time chatting on the phone with Purity marketing guru (and all-round great gal) Jill Martin I went to their event at Birmingham’s swanky Malmaison hotel without expectation. I don’t mean that I wasn’t looking forward to it – just that I didn’t have an idea of what the evening would be like. The Malmaison – or Mal as it’s affectionately known – in Birmingham’s Mailbox complex (which is also home to Harvey Nicholls) is a high end affair, with plush décor and smart, professional staff. The women attending the event had dressed up for the evening and clearly viewed it as A Night Out rather than just a mid week ‘drink thing’. Some had come because they had a connection to Purity Brewing or the Mal, others because they’d attended the previous year’s event, but all of them were enthusiastic about trying the six different beers the night was showcasing. The beers were paired with exquisitely prepared tapas dishes created and made by the Mal’s chefs. For me this took what could have been a bog-standard beer tasting up a notch or three. Each of the dishes and each of the beers was introduced and described by Purity MD Paul Halsey and Hop Merchant Paul Corbett of Charles Faram Ltd which meant we heard not just the story of each beer, including description and explanation of their flavours, but also why they worked with the food. I’m still fairly new to beer and food matching and usually base my opinion on whether you can continue to drink while eating without spoiling the flavour of either the beer or the food. All of these matches achieved that and some cut through the oiliness of a dish too (Purity Gold with smoked salmon cannelloni & guacamole for example) but I think I needed to have a little more beer with my food to really form an impression worth writing about. 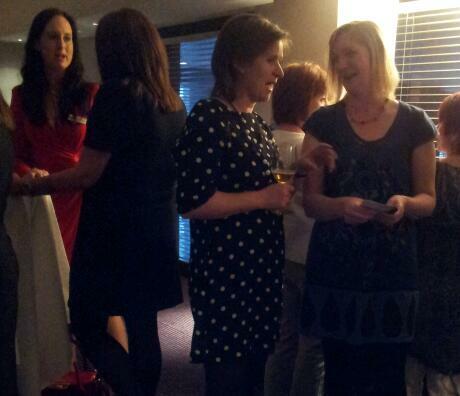 Nevertheless, it was a marvellous evening and I definitely include myself as one of the enthusiastic punters. Veltins Pilsener with grilled vegetable ceviche bruschetta & Saint-Maur goat’s cheese crumble. This 4.8% light, malty pilsner was a great beer to start the evening with. It had a delicate biscuitty-lemony aroma and subtle citrus and floral flavours that just came through against the main maltiness. It complemented the food well and the match seemed to benefit from the citrus marinade that’s often a feature of ceviche. Purity Gold with smoked salmon cannelloni with a guacamole mix. It’s making my mouth water remembering how good this salmon dish tasted! Purity Gold is also a citrussy brew but despite its lower ABV (3.8%) it was stronger in flavour and fuller in body than the pilsner. It was zesty and refreshing and went well with the salmon. Pure Ubu with Ubu braised blade of beef & smoked pomme puree. This melt in the mouth beef dish was one of the most delicious things I’ve had in a long time. It went well with the beer and the match was undoubtedly assisted by the same beer being used to cook the beef. Ubu is a 4.5% amber ale with a spicy, woody aroma and tangy flavour accompanied by a pleasant tongue tingle! Maisel’s Weisse Original with roasted pork tenderloin stuffed with apricot sage. The Weisse, a 5.2% Bavarian wheat beer, had a really obvious and very enticing creamy banana nose so it was disappointing that the beer was served way too cold meaning none of the aroma carried through to the taste. It seemed thin and sad. Had there not been the consolation of a gorgeous pork dish to go with it I’d have felt hard done by. Bacchus Kriek with dark chocolate delice and Bacchus glazed cherry. I’m not a huge fan of this 5.8% cherry fruit beer, which reminds me of cough drops, but concede it’s got its merits when it comes to desserts. 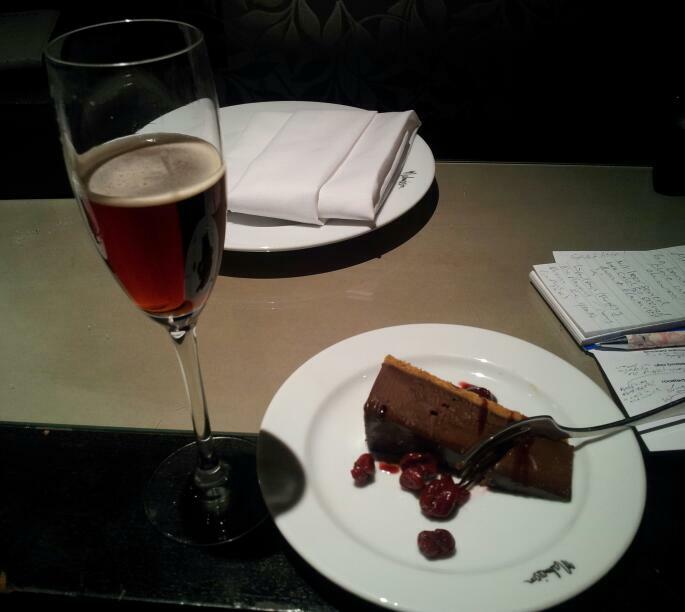 The delice, which was similar to a chocolate torte or cheesecake, was rich and flavoursome and went well with the beer. A small cherry explosion went off in my mouth when I took a sip after eating one of the glazed cherries, which was shocking but not altogether unpleasant. Sierra Nevada Stout with Isle of Mull eight-month cheddar. This 5.8% stout was served very cold, which I’m told is what the Americans do with stout – but to me it took something away from the flavour. However, the cheese increased the bitterness of the beer and also brought out its chocolate flavour. What I liked most about the event was being talked through the beer and food matches while I was eating and drinking what I was being told about. I’ve attended a lot of events that may have been the best beer and food matching showcases around, but they often lack information about which dish is intended to go with which beer – so FemALE really scored a communications coup on this front. 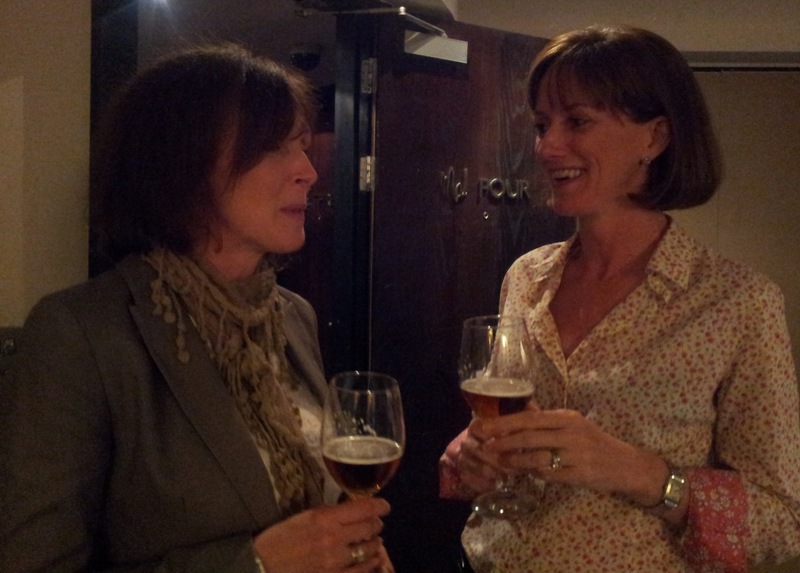 Another thing that came out of the evening was discussion about beer, its flavours and what the women liked. Encouraged by Marverine, they shared their opinions about what they enjoyed and what they didn’t! The variety of views expressed confirmed my belief that there’s no such thing as ‘the sort of beer women like’ – it’s all in the presentation and marketing. Women discussing beer, over a beer. So big thumbs up to Beer Beauty, Purity Brewing and Birmingham’s Malmaison, more events like this could go a long way to encourage women drinkers – and maybe men too – to try a drop of beer.